These artists blow me away. British soul singer Adele's video, Rolling In the Deep, combines her amazing vocals with paper sculpture artwork, and a beautiful dance sequence. I've searched for credits on both the paper artist and dancer and can't find them yet. If you know who they are, please let me know. The whole thing leaves me a little breathless. 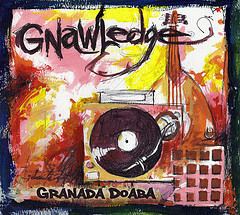 Granada Doaba is a flamenco hip-hop collaboration album recorded in Spain, produced by Gnawledge and funded by a Fulbright Scholar research grant. Producer Canyon Cody encourages free downloading and sharing.